10 Free Cloud storage Services. Get 100% Free Online Storage - No Strings Attached. Cloud storage is a cloud computing model in which information is stored on remote servers accessed from the Internet, or "cloud." It is maintained, controlled and managed by a cloud storage service provider on storage servers that are built on virtualization techniques. If our computer hard drive is damaged, we lost all our data. So we need our data safe. We keep backup file for data. But we can easily save our data, document and file use by Cloud storage. Now-a-day cloud storage is very popular.Cloud storage services are great for sharing files with friends and families, keeping documents in sync between all of your devices, and thus much more. There are 10 free cloud storage service site names. Dropbox is a free service that lets you bring your photos, docs, and videos anywhere and share them easily. 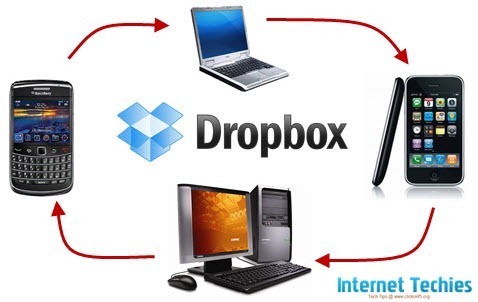 A basic Dropbox account is free and offers 2 GB of free space with several simple ways of earning more, up to around 18 GB. You can view and upload all your Dropbox files from a desktop or mobile app and share whole folders with anyone, even if they don't have a Dropbox account.